This route travels through the heart of Amish country past some rolling hills, with several overlooking beautiful vistas. Along the way you can stop in Charm, Walnut Creek, and Wilmot where a variety of craft shops and restaurants can be found. The best time to enjoy this route is during the week to avoid crowds, and on Saturdays. Almost everything is closed on Sundays. 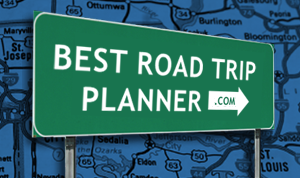 Except for the starting point near Akron, this road trip is a "small town USA tour." There are many interesting towns to stop at along the route. So choose the ones that you think you'll enjoy the most. The Amish country tour is an enjoyable road trip with minimal traffic and many shopping opportunities available in each town. There are furniture shops, candle shops, quilt and knickknack shops, cheese factories, and the finest Amish restaurants with home style cooking for you to enjoy.